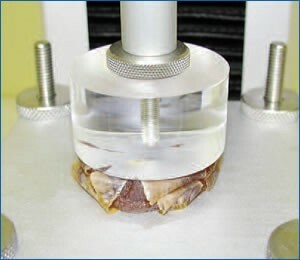 The quality of fresh dates was determined using a compression test in conjunction with a specialized test table. A supplier of dates wanted a simple and reliable method of determining the quality of fresh dates without having to remove the pit first. Textural properties of the product have been found to be a key characteristic in the determination of quality. 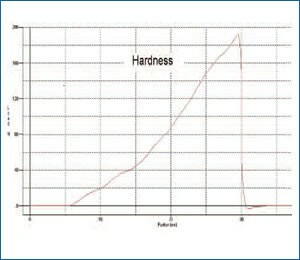 Too hard or too soft causes the consumer to have an undesirable sensory reaction. The customer had no real way to measure these differences and therefore no way to control them. The inclusion of the pit in the product presented an additional challenge. FTC provided the supplier with a system and special test table on which to perform a compression test. The test enabled the supplier to assess key quality indicators and meant the pit was removed naturally as the assessment was undertaken. This solution provided the customer with information regarding the firmness of the dates flesh and prevented the solid pit skewing results. 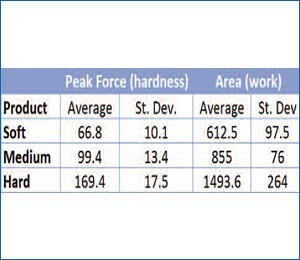 The customer was then able to correlate this data with their sensory analysis to set a clear standard for desirable texture.